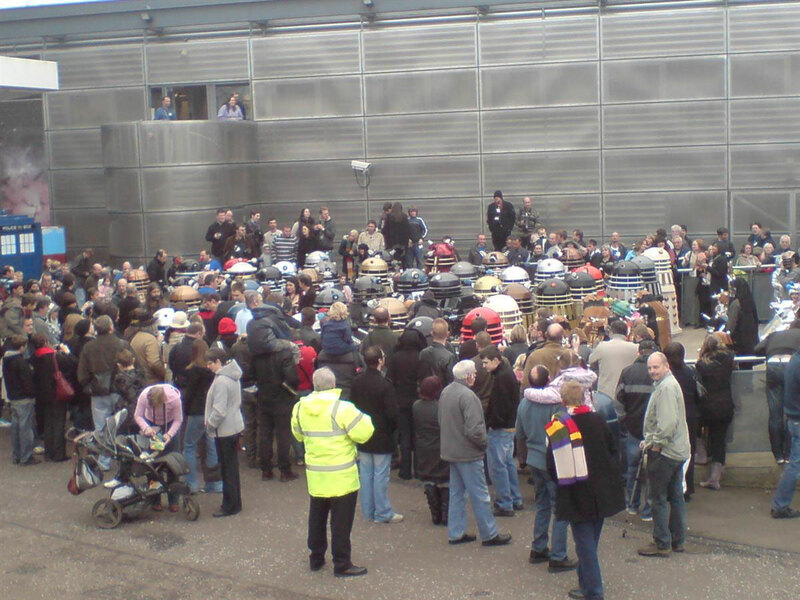 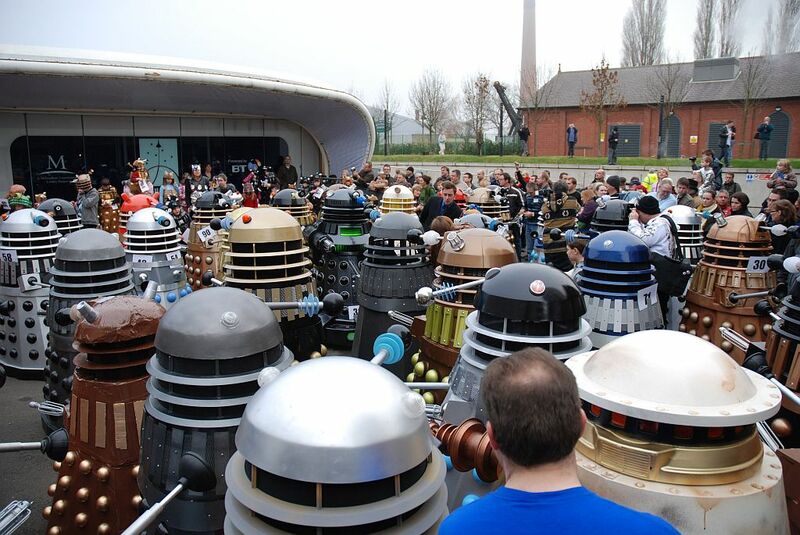 This was the third Guinness World Record attempt and so far, the biggest gathering of Daleks in the UK and indeed, the world. 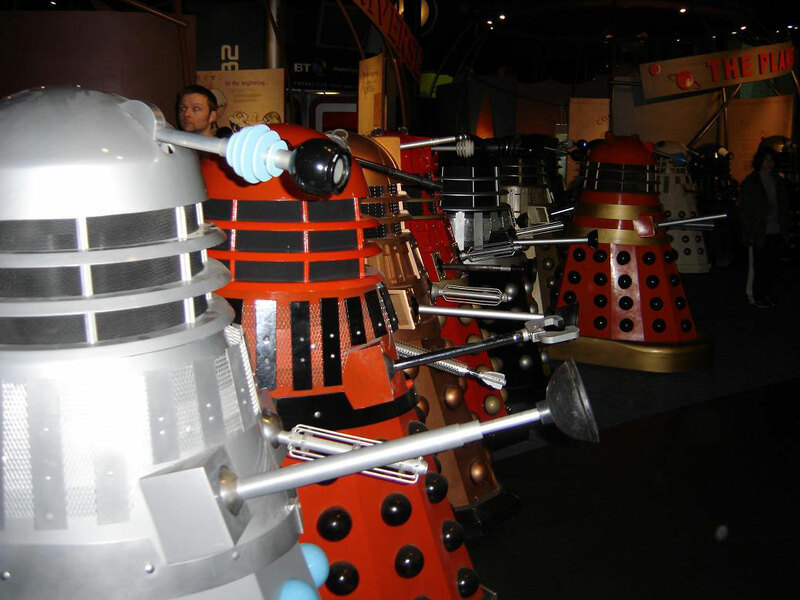 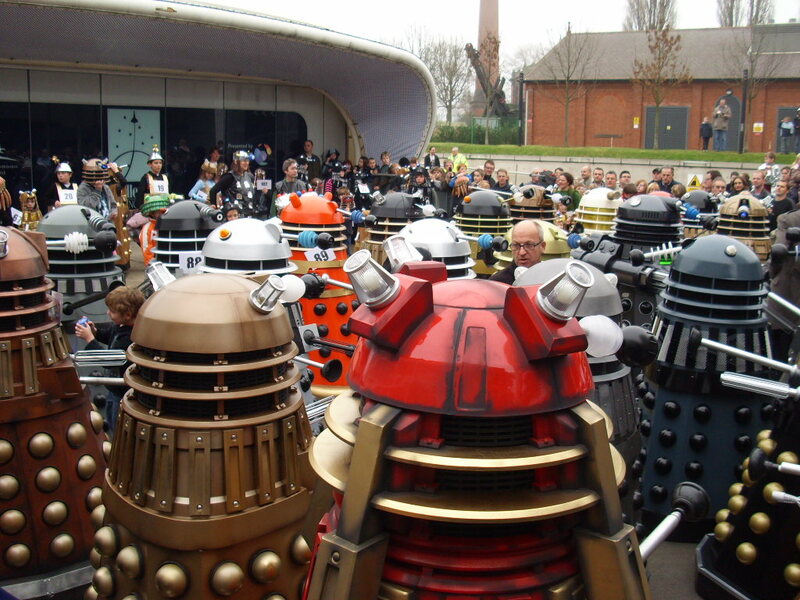 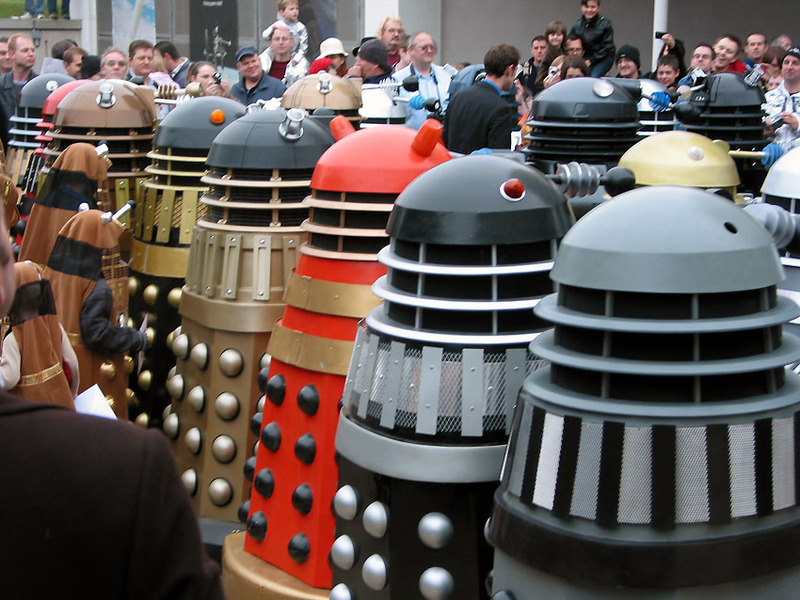 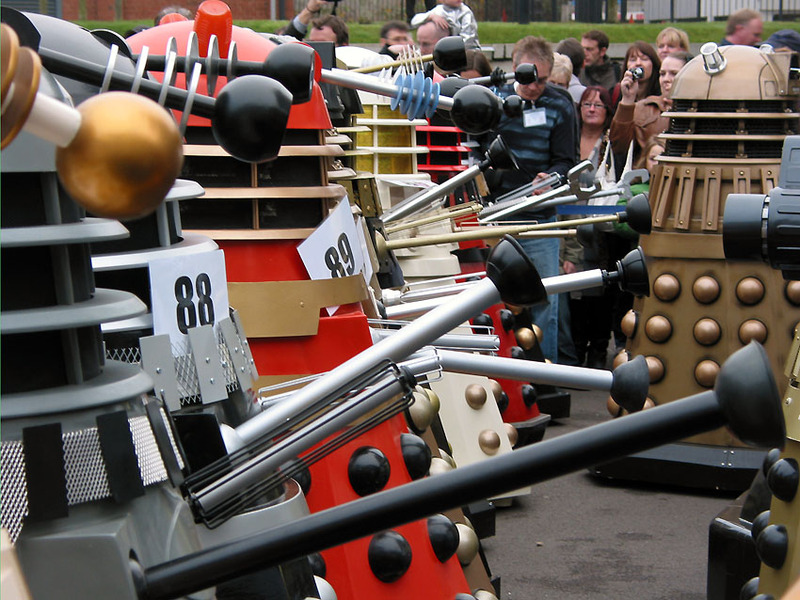 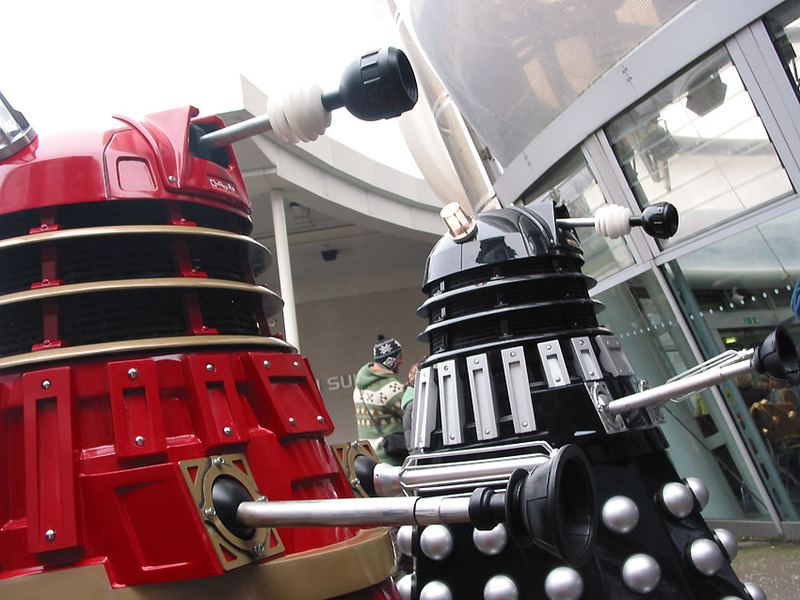 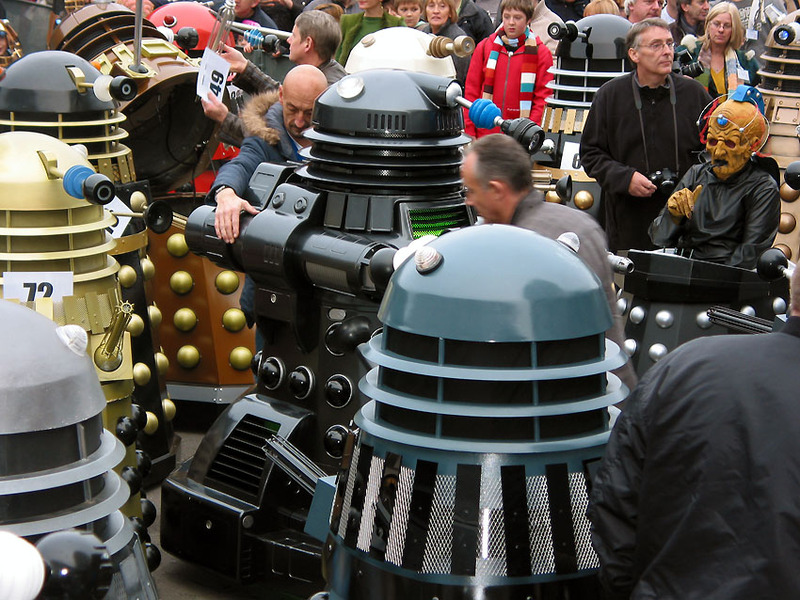 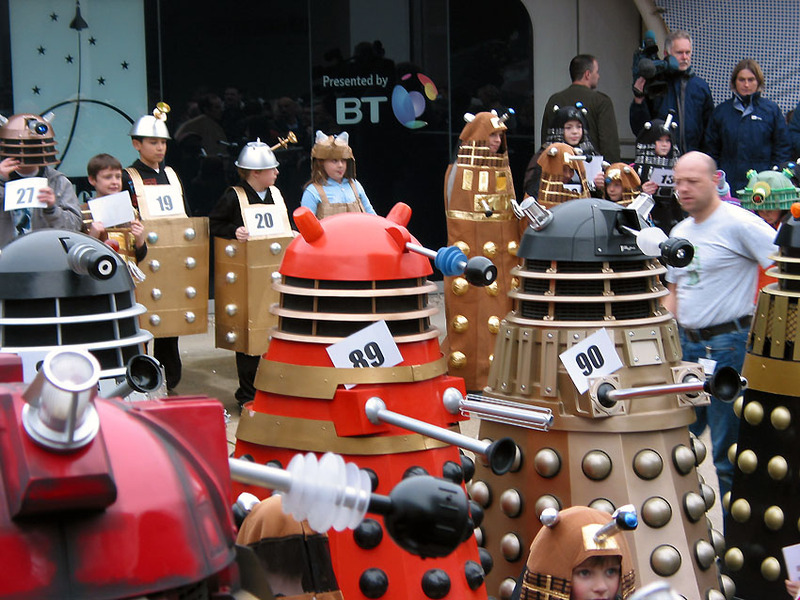 As with previous world record attempts, the Guinness Book of Records criteria stated that, to qualify for the record, the gathering had to be comprised of as many Daleks, or people in costumes ‘closely resembling a Dalek’, as possible. 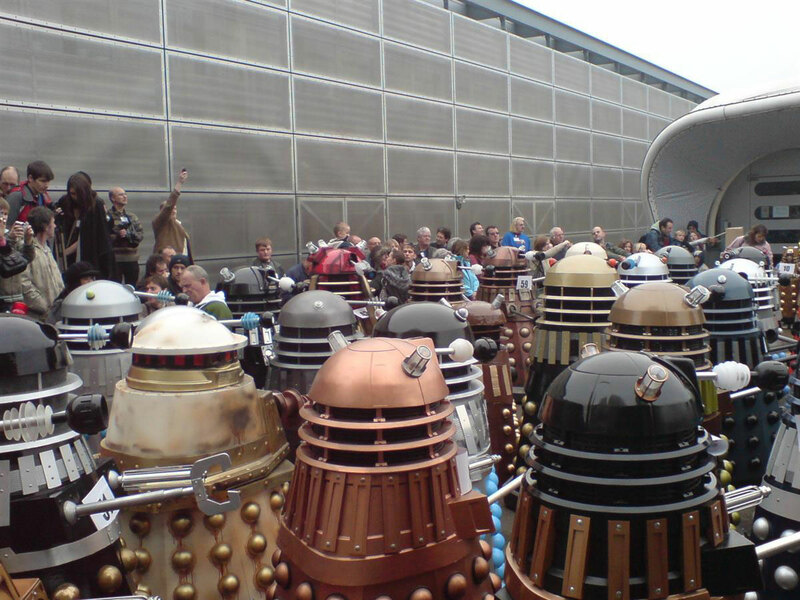 Counting was done by a registration system, where each Dalek signed up and was allotted a number. 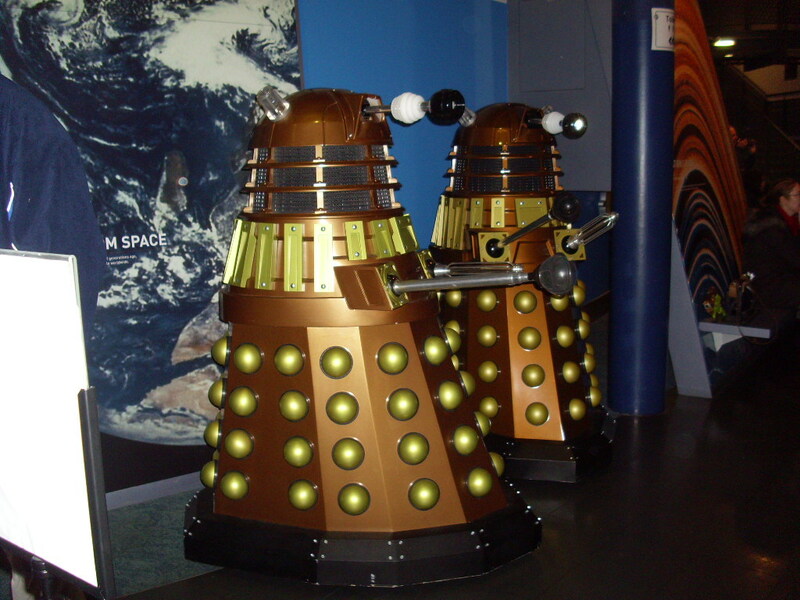 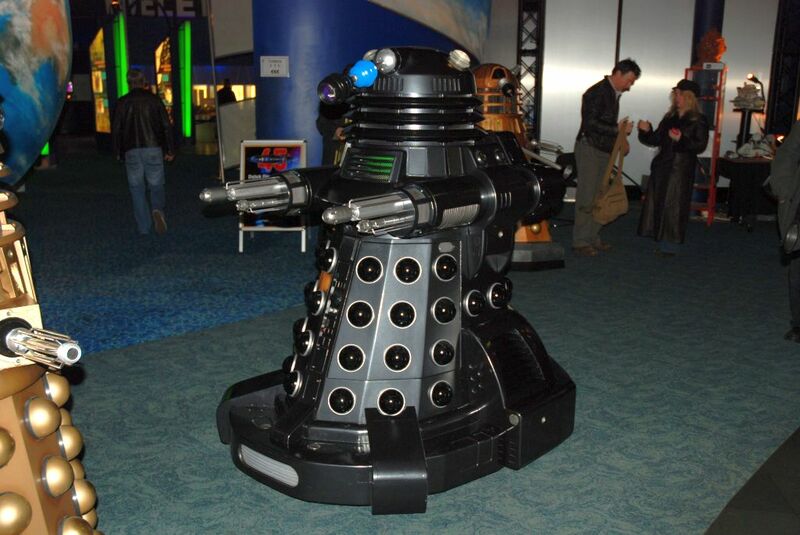 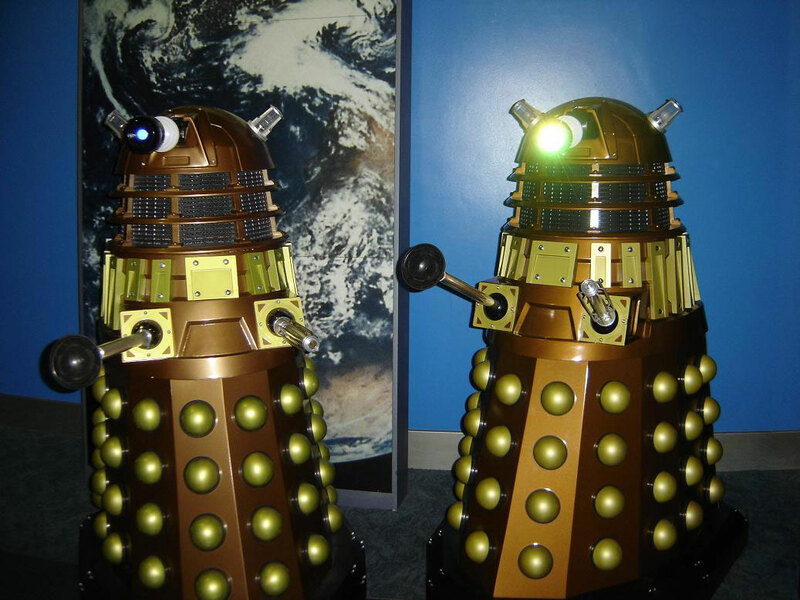 A ticket (displaying the number), was then displayed prominently on each Dalek. 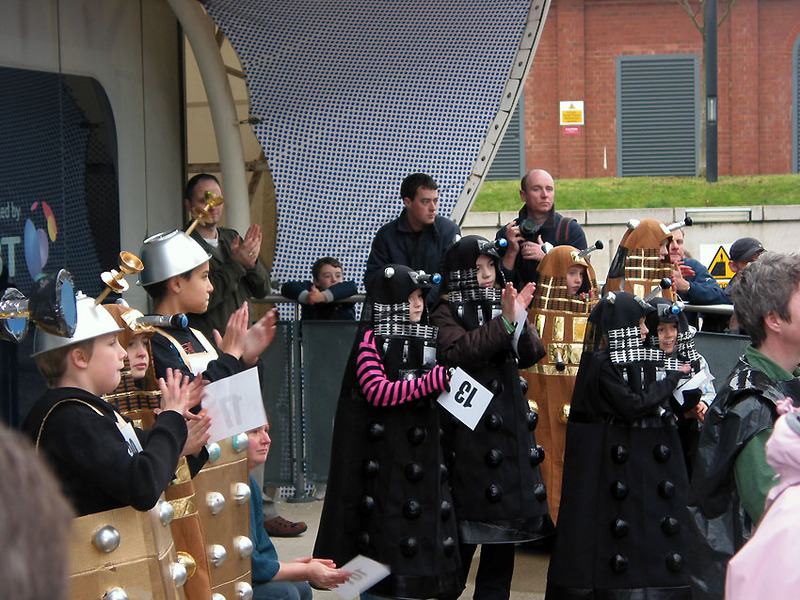 When it was time for the record attempt, the list or registrants was checked against the numbers on the Daleks taking part. 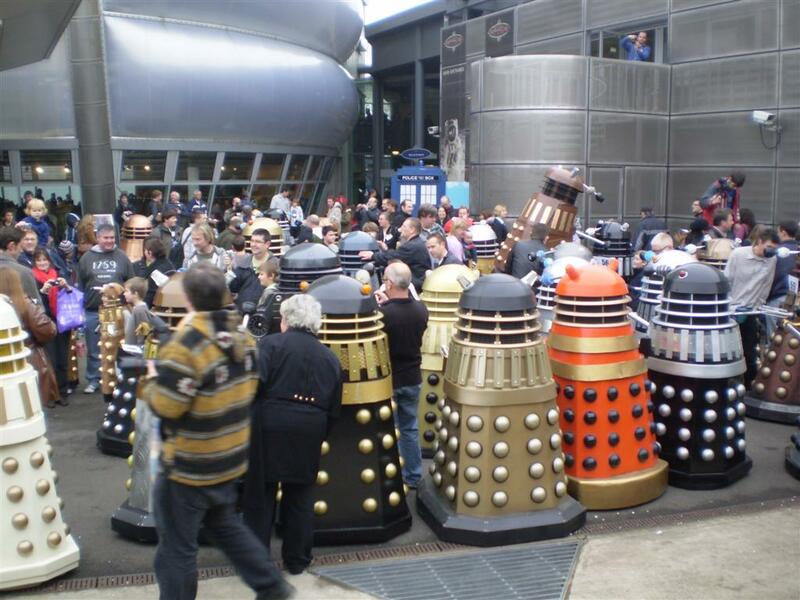 All very efficient. 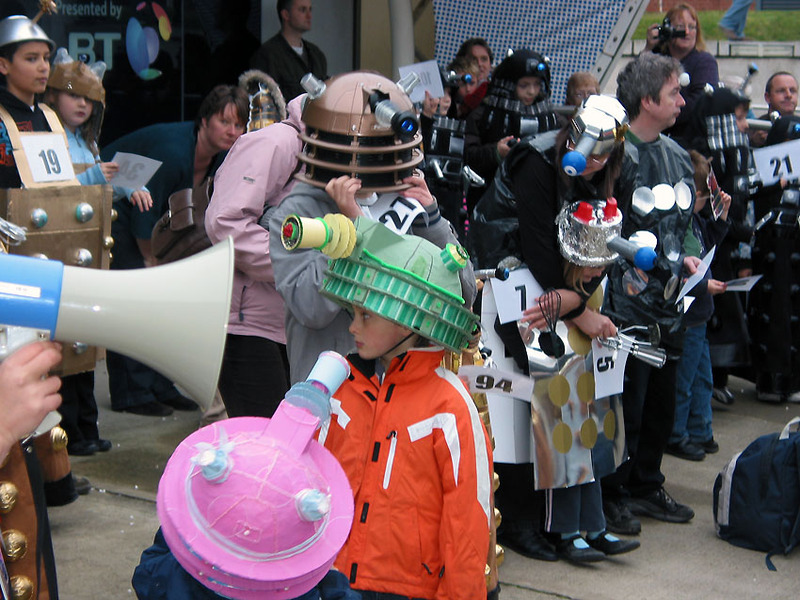 The number of actual Dalek props came to 44, while there were also 51 Dalek costumes present too, giving a Dalek total of 95! 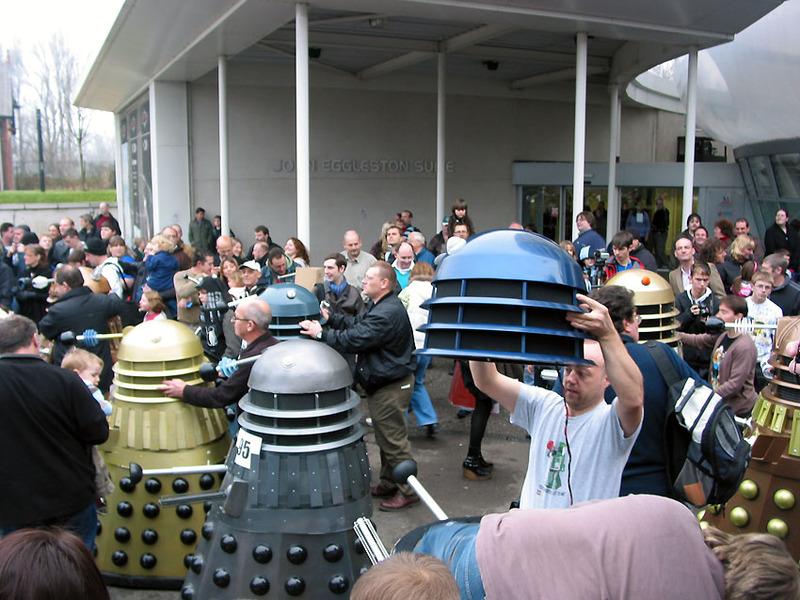 Aside from being a successful world record attempt, the event was organised to celebrate the 45th anniversary of the Daleks first appearing on our screens. 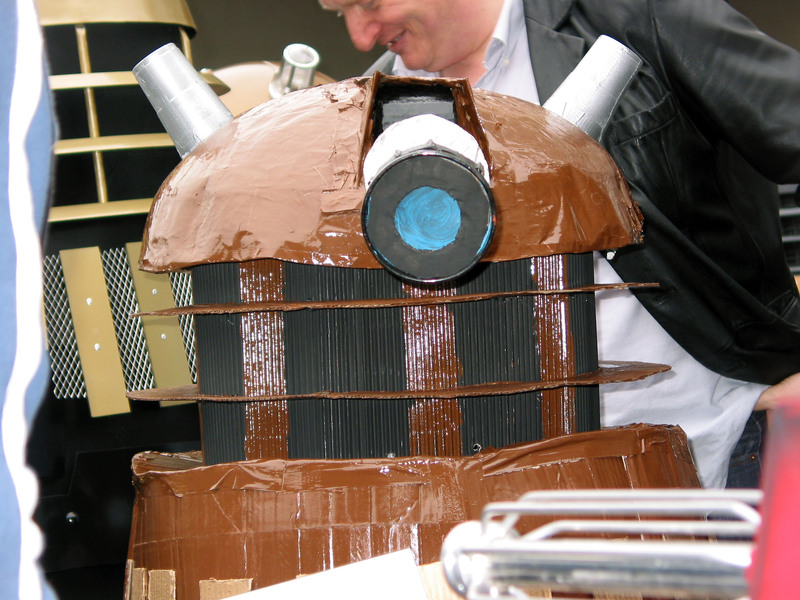 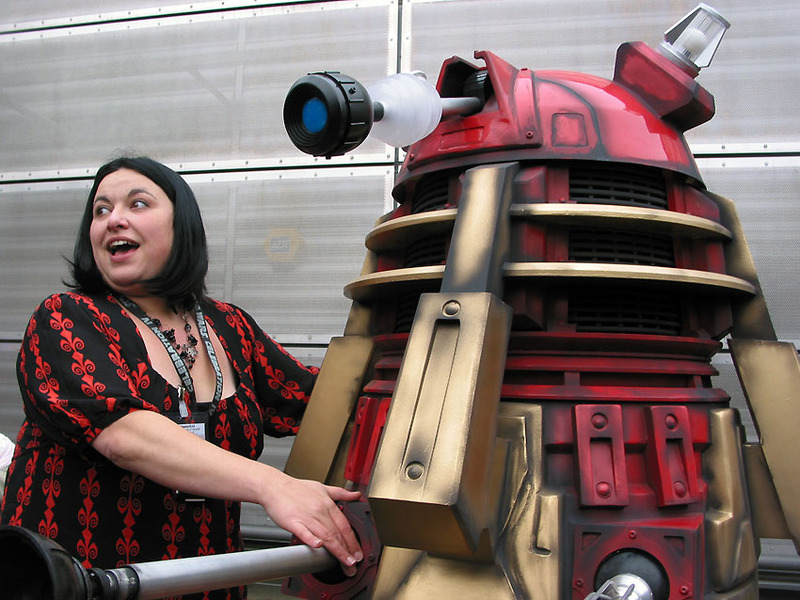 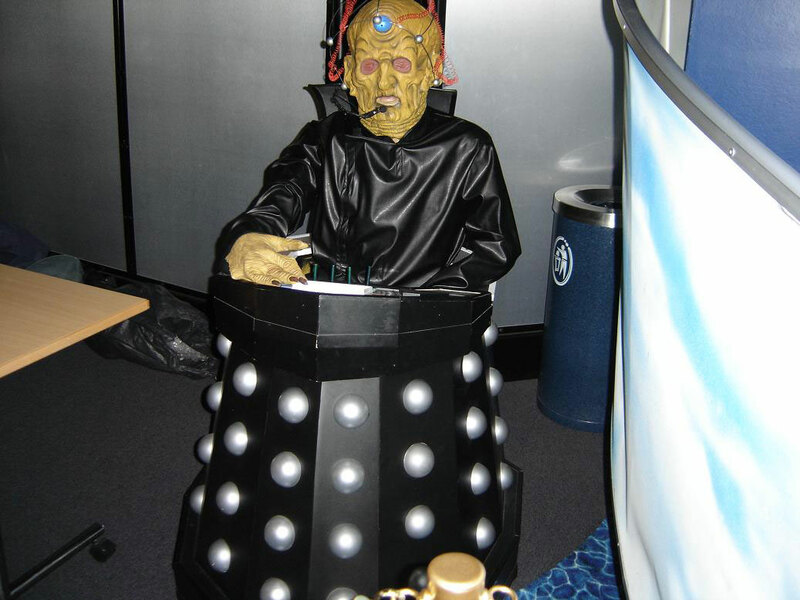 The event is fondly remembered as one of the best, by the many Dalek owners and Project Dalek members that attended.